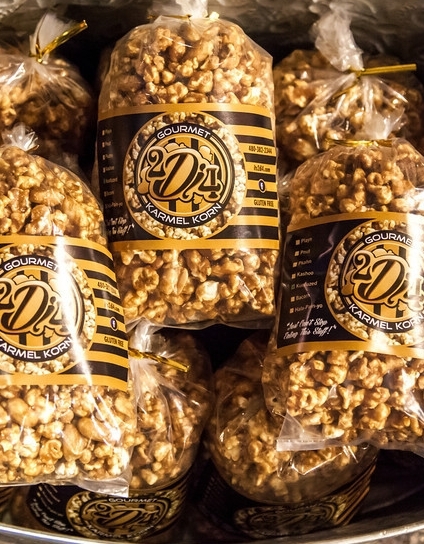 Our Premium Gourmet Karmel Korn mixed with Green Apple Popcorn. This quickly became a favorite. Make sure you eat the green ones with the brown ones to get that full Karmel Apple effect!